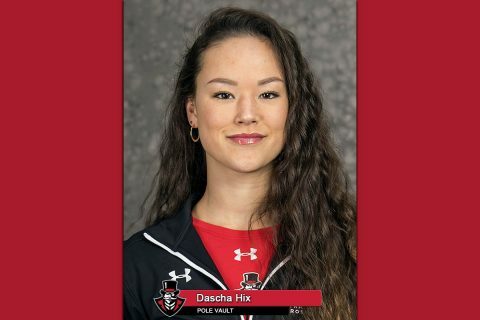 Brentwood, TN – Senior Austin Peay State University (APSU) pole vaulter Dascha Hix has been named Ohio Valley Conference Female co-Field Athlete of the Week, the league office announced Wednesday. 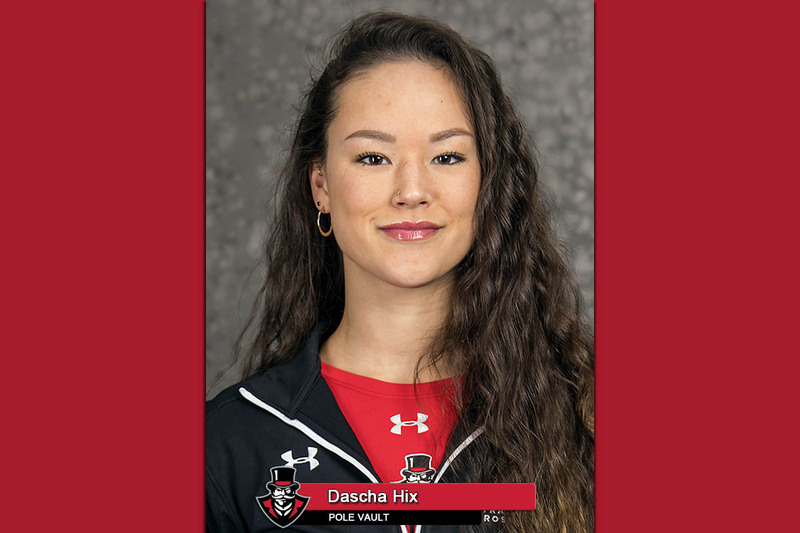 Hix posted a career-best 4.00m mark to win the vault at the 2019 Thundering Herd Invitational, earning her first victory in the vault since last year’s Marshall-hosted event and moving into first place in the OVC and into a tie for 46th nationally with that height. For the second time in program history, Austin Peay now has two vaulters on roster at the same time who have achieved four meters or better during their careers. The honor is the first of Hix’s Austin Peay career from the OVC; she’s a five-time medalist at the OVC Championships, including gold in the 2016 OVC Indoor Championships as a freshman. She and teammate Savannah Amato have put a stranglehold on the Field Athlete of the Week honor this season; Austin Peay has won or shared four straight, the first time a single program has been involved in four or more consecutive female Athlete of the Week honors in track or field since Eastern Kentucky won five consecutive Indoor Track Athlete of the Week honors in 2012. She shares this week’s award with Tennessee Tech’s Raven Smith. Hix and the Govs are back in action this weekend at the Fred Wilt Open, beginning Friday in West Lafayette, Indiana.